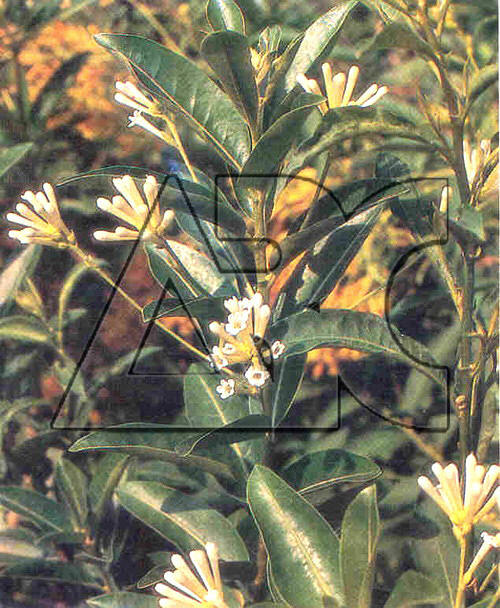 Pubescent shrub or small tree, up to 15ft. or more, sometimes scandent. Leaves oblong or oblong-elliptic, up to 4.5 in. long, obtuse or acute, entire, flowers in short clusters on long axillary peduncles, fragrant by day, calyx campanulate, up to 1/8 in. long, corolla greenish-white to yellowish, up to 3/4 in. long; fruit glossy black.